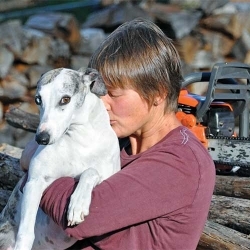 Bryony has worked for almost 30 years as a rural, environmental and science writer, editor and communication advisor. She has qualifications in journalism and agriculture, takes great photos, and has a talent for simplifying complex information and finding creative ways to communicate. When not in the office, Bryony can be found in a paddock, weeding, watering and worrying about her crop of pepper berry trees. Louise Bell is an experienced graphic designer who began honing her skills thousands of miles away on a newspaper at Esperance, WA. 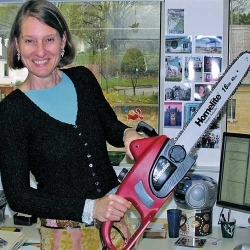 She has since spent more than 20 years meeting the communication needs of scientists, producing ecosystem and climate illustrations for books and journals, and designing brochures, research reports, prize-winning posters and anything else that has come her way. Louise is a master of InDesign, Illustrator and Photoshop. She also plays a mean ukulele. After weeks of pondering a name for our creative collective, we had our lightbox moment. 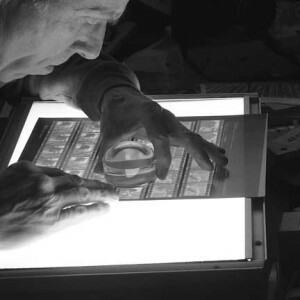 We think the name lightbox typifies both our experience and our bright talent for communication. The 42 adds Hobart’s latitude, and the meaning of life.